Come down to the library every 3rd Thursday for a good thought-provoking film. 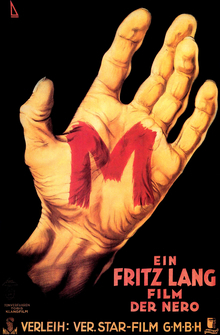 Our Smart Cinema selection for Thursday, April 18 is M, the classic German film noir directed by Fritz Lang and starring Peter Lorre. This 1931 film is about a child killer who plagues a German city. Petty criminals, threatened by constant raids from a desperate police force, endeavor to take matters into their own hands and to find the killer themselves.